Jalandhar: India’s most prestigious film festival – Dada Saheb Phalke Film Festival recognizes the enlightening, entertaining & progressive new age cinema of youth & experienced filmmakers every year. This year – 2014, Lovely Professional University student Ahsif Khan has been honoured with ‘Dad Shaheb Phalke 2014 Award’, in New Delhi. Ahsif has been awarded for his brilliantly executed short piece of the year ‘The Poster’. The 15-minutes low-budget film ‘The Poster’ won “Special Festival Mention Award” in short film category for students. Ahsif received ‘Certificate of Excellence’ from national award winning producer Savita Raj Hirmath. Ahsif’s production has been adjudged excellent over other entries from all across India and 45 other countries. LPU had encouraged its student-director Ahsif for entering the fest, and also forwarded itself as title sponsor of the film. ‘The Poster’ is a moving depiction of everyday anguish of common man, his endangered dreams, frustration over work and family, and the final march toward social reform. ‘Poster’ is based on the story of Zahir Raihan-a legendary & revolutionary figure in the annals of Bangladesh, and is directed and produced by Ahsif khan. The film is in Bengali language with sub titles in English and has earned wonderful success under various shows. LPU identified Ahsif’s creative power when he was motivated for a documentary, ‘Song of Padma’ in 2013, and it bagged the title of “Best Documentary” at the LPU Film Festival (India). The documentary was further appreciated at the 6th International Film Festival in Dhaka (Bangladesh). 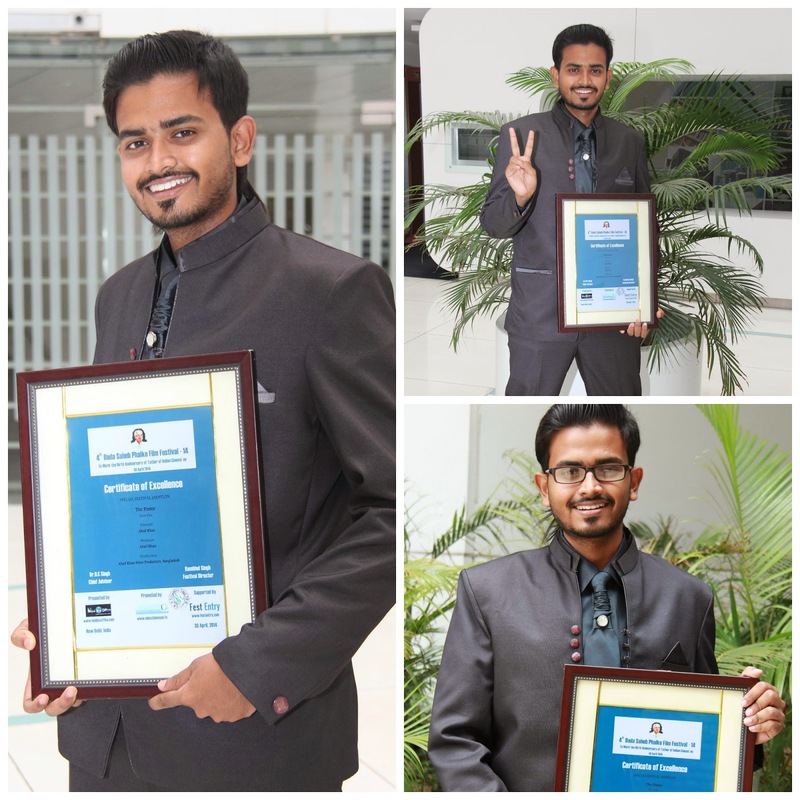 He has also won first prize at Youth Vibe 2013 (India) for ad making and architectural photography. The central character of the film is an ordinary middle class man Amzad who believes that the government is doing everything for its people until the day he falls in the trap. He learns about the drawback of capitalism as he loses his job. A salaried government employee, Amzad lives his life with resigned acceptance. He is a critic of the likes of Afzal- a firm believer in the revolutionary zeal of the youth. However, it sketches Amzad’s final disillusionment as he is fired for no reason from his job. We always inspire the students who reveal their zeal. These academic posters examples are perfect for them. Great to hear that you had a best journey till date and you have to take Check Here in order to get here back.